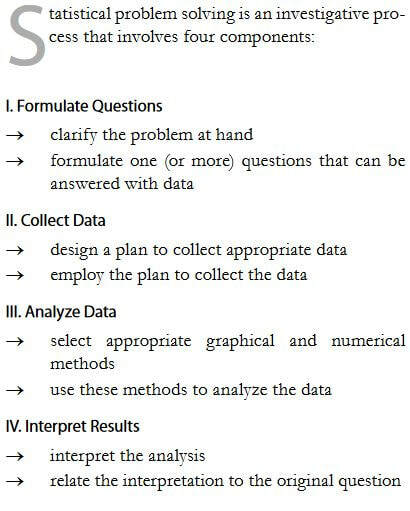 This post follows "The Case for Statistical Literacy Across Subject Areas"
For a detailed explanation of the statistical cycle, see the Introduction and Framework section of the Guidelines for Assessment and Instruction in Statistics Education (GAISE) Report produced by the American Statistical Association. "What was going on in Europe in the 90’s that led to so many refugees to the U.S.?" 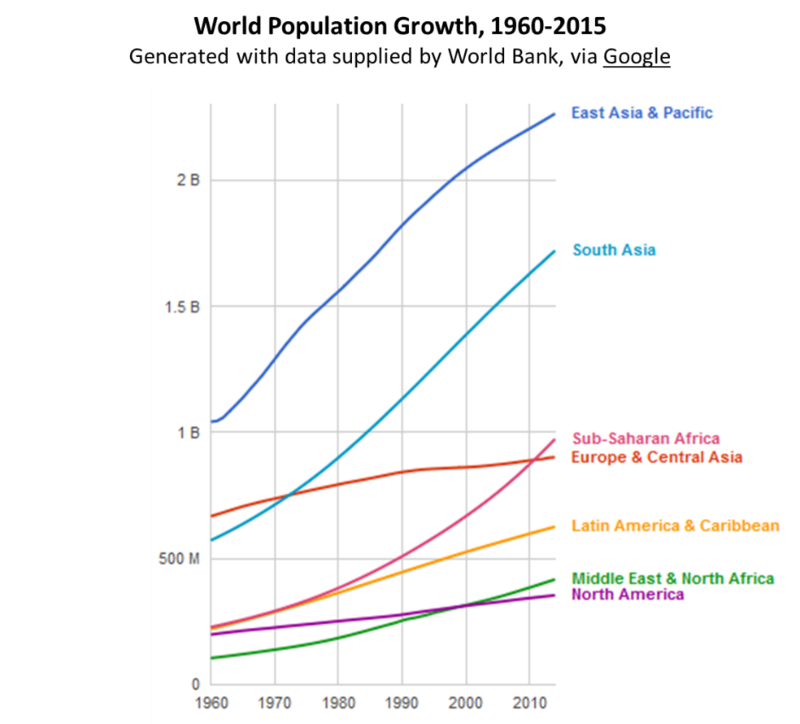 "What happened in 1976, 2001, and 2017 to cause sudden drops in the number of refugees?" (NOTE: Notice/wonder is a commonly used technique in mathematics teaching, and a quick Google search can provide lots of examples of this in practice. Be sure to read the earlier article by Melissa, "The Case for Statistical Literacy Across Subject Areas". "Statistics...uses math as a tool to gain a deeper understanding of other contexts that matter to us..."
Different fields of study have different ways of collecting and interpreting data. Physicists may run controlled experiments in a lab; climate scientists may compare historical and present day measurements; social scientists may collect surveys. These context-specific applications of statistics can be taught in content classes to enrich students' understanding of statistics, as well as the content matter. "Greater statistical literacy could help [us] understand [that] these issues are real and require collective action." Keep an eye out for Part 2: Integrating Statistics in the Content Areas, where we will look at some examples in the adult education classroom. It is hard enough to offer multimedia in a typical adult education setting. It is even tougher to offer multimedia to adult learners in a medium-security state prison, where I teach now. Perhaps similar to yours, many of my students left school between the 7th and 9th grades due to learning disabilities, immigration issues, poor family support and complicated environments. Their lack of background knowledge is very apparent in many subjects. Add to that the prison restrictions on device and internet use within the classroom, and the general challenges of teaching inside the wall. Still, it is possible. I would like to share how I have taught U.S. History in a memorable and easy-to-understand way, while addressing the College and Career Readiness Standards for Adult Education (CCRSAE). I presented the evolution of our country through a multimedia timeline. This approach allowed me to show pertinent events, people, and documents through a variety of primary and secondary sources. I tried to incorporate the strategies for Howard Gardner's theory of multiple intelligences and Webb’s Depth of Knowledge into my activity questions and used reading, writing, math, and science texts to expand the scope of learning. I incorporated technology by including video and audio files containing music, speeches, podcasts, documentaries, and more. In a prison environment there's no classroom internet connection, so I ..."
In a prison environment there’s no classroom internet connection, so I either downloaded materials at work or emailed it from my home to work, and then copied to a flash drive to place materials on the laptop I used in the classroom. This included video, audio, image, and document files. I found that presenting formative and cumulative assessment activities individually and as a group allowed me to effectively evaluate the needs and progress of my students, and that I could use a variety of assessment activities such as cloze reading, matching terms, and games presented through PowerPoint, PDFs, Word documents, and websites. The hardware I used included SMART Boards, LCD projectors, laptops, and an Elmo document projector. Many of the activities I created from scratch, but there are hundreds of shared online educational resources. When teaching outside of prison, I’ve also used smartphones and QR codes. Following is an example of how multimedia may be incorporated into teaching the Declaration of Independence. What were they fighting to change? The National Archives has a trove of resources for primary sources. I use the document worksheet pictured here. improves the accessibility of the learning environment by extending it to otherwise inaccessible places (this is especially important with the limitations placed on a prison environment). There are numerous ways to incorporate multimedia in any subject, and yes, it may take a little more work, but I can assure you that it will create an engaging and memorable lesson! Editor’s Note: Want to learn more? Register for History Made Memorable Through Multimedia (online), with the opening webinar on September 20th and the closing webinar on October 18th. Marie LeBlanc teaches ASE and Computer Technology in the Massachusetts Department of Correction. During her 15 years in adult education, Marie has focused her efforts on its diverse learning needs and environments, using creative curricula and proven techniques and instructional methodologies. Marie has an M.Ed. in Instructional Technology from Lesley University. SABES, the System for Adult Basic Education Support in Massachusetts, promotes high quality adult education services through training, support, and resources that improve the skills and knowledge of practitioners and strengthen programs. Contributors are practitioners in the field and members of our team. Comment directly on any post by clicking on the Comment links at the beginning and end of that post. Or send us a general comment or question—we'd love to hear from you!